Hello KCA Board. As some of you know, I was in Colorado Springs for the annual USAC Local Association symposium. 19 LAs were in attendance. The change from December to September was a contributing factor to the low numbers, but we had a very informative meeting. This is my report from that meeting. A) Total membership in the organization is on target to increase between 3-5% over last year. This is a modest, yet significant number as it signifies the end of the membership decline that has been ongoing since 2013. While far from the heyday of the ‘Armstrong Era’, bicycle racing in America is beginning to rise again. B) These modest increases in membership are coming, mostly through racer retention. New racer numbers are still declining but the decline has plateaued, and is expected to begin trending upwards in 2019 or 2020. Grand Fondo participation is up 33% over last year. This is an encouraging number as it means people are still getting out and riding their bikes. 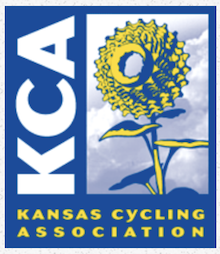 C) Our 2018 YTD New Membership here in Kansas is +4%, and our renewal rate is +8%. Those numbers are SIGNIFICANTLY BETTER than the national LA average of -3%. To put that in perspective, there were only 4 LAs that are doing as well (or better) than we are. ( Louisiana +11%, Colorado +8%, Idaho +6%, Illinois +4% ). Most of the other LA memberships are flat, or slightly down. Missouri, by comparision, is -10%. D) Financially speaking, USAC is stable, but losing money. Not at an alarming rate, but the decline is enough that they are re-evaluating the budget for next year. The most significant increase is coming from increased insurance costs. These insurance rates are increasing mostly due to a significant increase in non-merit case litigation. Derek warns that there may need to be an increase in race-day surcharges in the next year. They don’t have numbers for us yet, but will let us know as soon as they determine what they are. The next topic took the rest of the first day. As you all have seen from the launch of the new USAC website, they are making major changes in IT. There are still some significant issues, however. Frankly speaking, the website isn’t done yet. The VERY short version of the ‘behind the scenes’ is that USAC is currently running on 3 servers. Every time you login, it takes you to the new portal, but when you try to click-through to ‘do’ something, the current server has to send you out to the legacy site for the information. The need for the new server is because the legacy site is buggy, and will not work well with mobile devices. National studies have shown that 58% of people interact with the internet solely through their phones and tablets now. Thus, the old site has to go. Implementing the new site/servers has been challenging, and is taking MUCH longer than they initially anticipated. As of right now, the new site is handling Race License Purchases, Membership Purchases, the e-commerce merchandise, and donations. EVERYTHING ELSE (other than the rulebook and the splash-content) is still on the legacy server. They target a major change in February, with additional changes happening as certain parts get done. Next week, we will see a new Account interface, ‘find a club’, and ‘find a coach’ implemented on the new site. November, they are targeting a complete Redesign and refresh of the Official’s section and available tools including the ability to fill-out and file a First Report of Occurrence or Rider Disciplinary Report on your mobile device. December – They will move the remaining static content over to the new server. Next year (hopefully before road season), they want to launch the new online Permitting and online Registration tool. We got a sneak peak at this tool during the symposium. It will be an adaptive and simplified process now, with a lot of things going on in the background on the site. That said, it is a new system, and LAs requested that USAC provide VIDEO training that could be uploaded to YouTube (or similiar) in bite-sized chapters.Currently, a Race Director has to answer about 80 questions in order to apply for a permit. The new system cuts this down to about 25 by adaptively ruling out questions that don’t apply (based on the answers to previously answered questions). A great number of the suggestions from LAs were what I call ‘rules limited options’. All of the LAs in attendance were pretty adamant that the permitting system should limit the choices that a RD has, IF the USAC rules mandate a specific answer. For example: when an RD is permitting a Criterium, then the RD should not have the option to choose a course that is ‘rolling closure’ since the rules mandate that a Criterium MUST be held on a closed course. Similarly, when an RD is defining who can compete in a field, the permitting and registering system should automatically allow for women racers to race in the men’s fields (as allowed by the USAC rules), but Men CANNOT race in the women’s fields. By setting up the system to limit the RD choices during the permitting phase, it eliminates problems in the future. MORE IMPORTANTLY, it allows for the permitting and registration systems to easily evolve over time as the rules of the sport evolve. There won’t need to be a massive re-coding of the permitting system, just a simple change of a single module. This suggestion was taken quite well by the development team, even though it means some considerable work to implement this on what they already have completed. A perk for the Permitting Coordinators is that a permitted race will not disappear from your cue once its permitted. It stays where you can see it, along with its status. If the RD makes a change that requires a re-permitting, the event will remain permitted as is, but the requested changes will not be applied until (and unless) they are approved in the system. Electronic versions of the flyer will be automatically updated once you approve any changes. Ultimately, the new permitting system is going to be able to automatically generate the Race Flyer based on the information that the RD provides during permitting!! There will be a couple of templates, and the RD will be allowed to create their own, but the information will populate directly from the permit. Certain changes will be available to be made up to 48 hours before the event, but the RD will know via an alert icon and notice of any proposed change that will require a re-permitting. LAs retain approval rights, and will have the ability to communicate directly through the permitting system to the RD instead of having to go through direct email if they so choose. We asked that they add a text box where a Permitting coordinator or Race Director can copy/paste any verbiage that is required by the Local Association, Localities, or Sponsors…And the ability for a Local Association to setup a LA specific template if we so desire. We also asked for the Race Directors to see an alert whenever they are inputting a course distance or race duration that is too short for a certain field to obtain upgrade points…as a reminder to Race Directors. RDs will still be allowed to permit races that are ‘short’, but this will help to educate them, as well as eliminate the “I didn’t know” argument. The next morning we began with an update regarding RaceClean, and a presentation from USADA. 4 in 2017 (there may be more, but they haven’t announced yet). This is because of due process delays. Positive tests are NOT announced until the athletes are granted their due process rights. The majority of positive tests in cycling that have resulted in sanctions are from men in their 40s and 50s who are taking testosterone. The focus is NOT on the testing, but building a deterrent. We want the racers thinking that it isn’t worth it to even try, because USADA or RaceClean may be there and sanctions DO follow those tests. USADA – Weight lifting, Wrestling, Track, Gymnastics, Cycling are some of the most high-risk sports for doping. if we want logos to post on website, contact John. RaceClean asks the LA presidents asking about what local races they should show up atThis has been driving their testing schedule. 1 – Athlete Chaperones (one male and one female at least) to chaperone athletes from the finish line to the doping control station. Racers cannot leave the sight of their Chaperone until after the testing is complete. It was emphasized that it is the responsibility of the RACER to stay in sight of their chaperone. If they move out of their sight (because they are on a bike and the chaperone isn’t) then the racer is held in non-compliance. A cool-down “lap” is fine, but they have to be in sight of their chaperone at all times (can’t go off into the woods or single-track). 1 – a secure location to test. This can be a large tent with sides, But it needs to be kept secure and private. ‘stay clean’ program arm focused on Juniors. More information available. THC is a threshold test. The thing to remember is that the banned list supersedes the local legality of a substance, and is beyond that discussion. Athletes are held to the RULES of the sport in which they compete…and they already know that. USADA and RaceClean should not arrive with an invoice in hand. RaceClean have paid for everything in the last 3 years. They want to involve the LAs so they can help, but they need to ask for volunteers prior, but they do NOT want to announce that they will be there. Often they are targeting specific racers and they don’t want them to stop coming to the races. There should be no costs to the race director EXCEPT for the testing location (building or tent, porta-pottys and cold water). Remember, anyone that is on the posted testing list for an event that does NOT show up for testing is immediately found guilty of ‘refusal to test’ and will be sanctioned for 4 years. The problem comes in that they want to keep their presence quiet, but they have to announce to the racers that they need to show up for testing. Race director responsibilities are MANDATORY as USAC is part of RaceClean. Race Directors MUST be made aware of this as compliance is compulsory. At the LA’s request, the language on a RaceDirector license is going to be changed to make sure they know and Agree to those terms in order to hold a RD License. Additionally, existing RD licenses will be required to re-acknowledge and re-agree to the compulsory nature of this commitment. A Race Director OR LA can also request testing at their event (at their expense) by contacting RaceClean directly. This testing is NOT paid for, and pricing is variable, because of travel expenses, but a standalone event is in the $500-1000 range. The USOC, Congress, and USAC are involved. They are currently getting over 120 reports a month!!! the Nassar case has made this a MAJOR issue that has driven major changes. These changes are being mandated by the US Congress, NOT the IOC, or USAC. Some deadlines will be Jan 1 2019. These are being driven by congressional law. The changes will be announced as soon as the laws are finalized. RaceClean had a document prepared to present to us, but congress LITERALLY made significant changes on the Wednesday prior to the symposium such that the document was no longer valid. a Race License is a Race License, and a basic membership is included in a race license, but a race license is NOT included in a Basic Membership. That email has already gone out for basic membership redemption. The current assignment tool is simply BROKEN. It doesn’t work, and the majority of LAs aren’t using it because of its problems. Arbiter Pay is a component that allows RDs to pay the officials through the program. less than 1000 practicing officials nationwide. In person CR (B Clinics) available with streamlined B module systems. Should roll out VERY soon. LAs suggested field-size consideration when multiple races happening on the same whistle. For example, when masters and category race on the same whistle (but in different races), the field size is ONLY the race you are in…even though you can all work together. This happens a LOT in women’s combined races. OR when Men and Women have separate races that start on the same whistle. This is being taken for discussion with the technical commission. Essentially, Randy is proposing taking the upgrade points system OUT OF THE RULEBOOK, and making it a matter of policy. Personally, I see both pros and some major cons to doing this. This proposal is in its infancy, and he still has to take it to the board of directors. So that was the end of what we covered at the Symposium. There is more information that will be coming out, especially for SafeSport requirements, and I will keep you all informed as I am made aware. Thank you, and race well.